Hello in the Black Forest! Welcome to blackforestinfo.com! In these pages you will find information and stories around the Black Forest, the most popular German holiday destination - compiled and processed by an experienced editorial staff which follows the strict rules of journalistic writings - independent from any influences from outside. What does blackforestinfo.com offer you? 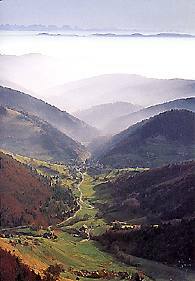 We want to present that part of the Black Forest in the internet which might be of any interest to tourists. We offer the most beautiful hiking tours, the best recipes, history and stories, things to do, the most interesting tours by car and the trains in the Black Forest - you will find everything you need to plan your vacation - even if it is only a stay over the weekend. Moreover you will find information on ski resorts including information on ski lifts, runs and cross country trails.